What better place to experience the thrill and adventure of Escape Games than on Hawaii! Find Escape Games on Hawaii tied to themes of adventure on the Island. Will your breakout or will the dark enemies bear down on you on your mission? 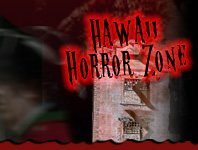 Experience the thrill and find out at one of Hawaii’s Escape Games attractions this Halloween season!